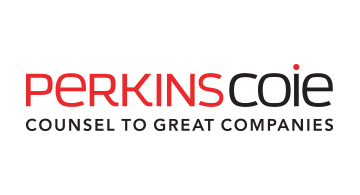 Perkins Coie has more than 1,000 lawyers in 19 offices across the United States and Asia. We provide a full array of corporate, regulatory, litigation and intellectual property services. The Financial Times highly commended Perkins Coie as an innovative law firm for establishing a "firm-wide virtual currency practice to work with industry leaders and clients." Our Blockchain Technology & Digital Currency industry group has served Bitcoin and other digital currency clients since 2011 and applies our deep technology focus to the complex legal needs of Bitcoin clients. Distributed Ledger Technology: Perkins Coie is at the forefront of assisting public and private companies, as well as Wall Street, in understanding the potential use of the distributed ledger technology underlying digital currencies. We assisted Overstock.com, Inc. in the first ever SEC-registered public offering of digital securities. We are also assisting Wall Street entities in understanding the potential use and regulatory obstacles for distributed ledger technology. Regulatory Enforcement: Perkins Coie defends entities and individuals targeted by government regulatory and law enforcement agencies. We have broad expertise defending digital currency and EFS clients from criminal prosecution, civil enforcement proceedings, and asset seizures and forfeitures. Attorneys in our White Collar & Investigations practice also help these clients avoid problems with government agencies by drafting internal policies and practices to stay compliant and advise on a wide range of regulations. Breadth of Information and Resources: We stay ahead of breaking developments and share insights on our VirtualCurrencyReport.com blog, a reflection of our early and in-depth advisory role in the industry. Learn from the people shaping the complex regulatory, enforcement, investment and consumer protection issues in the digital currency ecosystem. To track international Bitcoin regulations on the go, we developed CoinLaw, the first legal digital currency app. For more information, please visit www.perkinscoie.com.